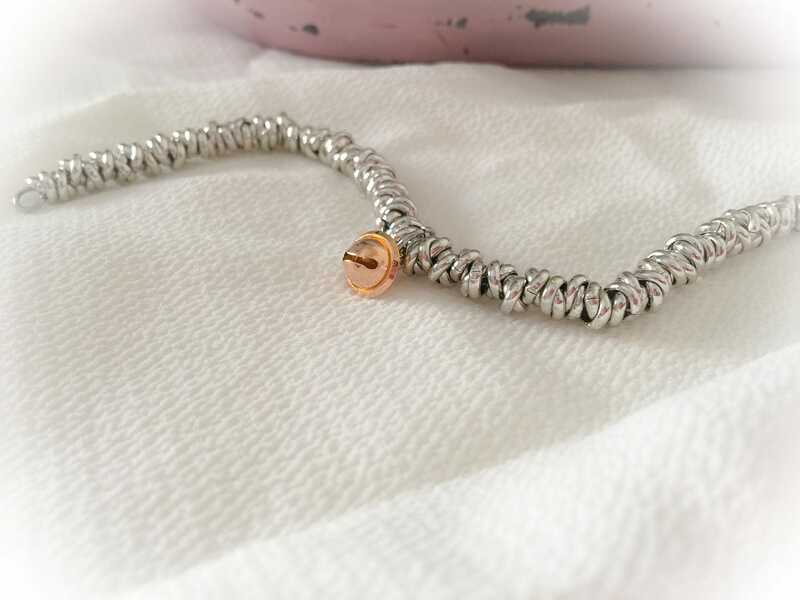 The bracelet on sale is made entirely by hand using aluminum nods in various colors. 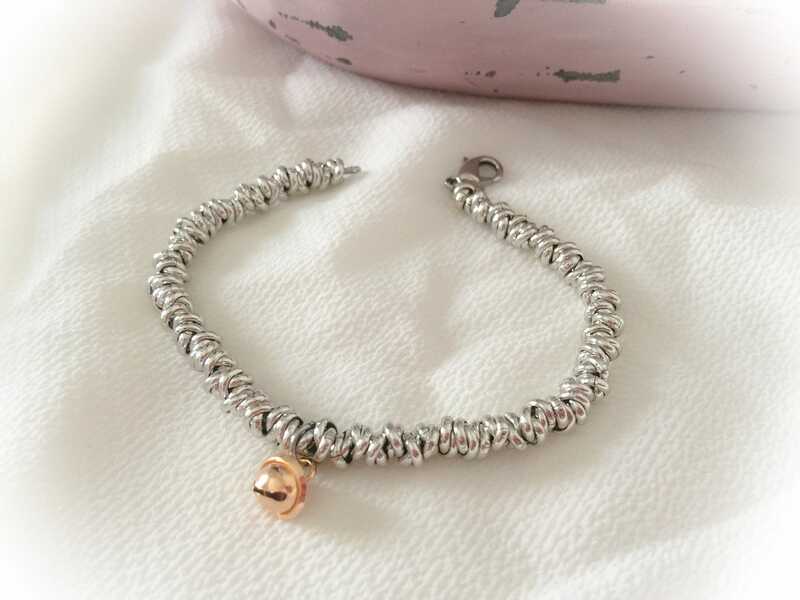 The cuff is crossed by a steel chain inside it making it safer, impossible to break. 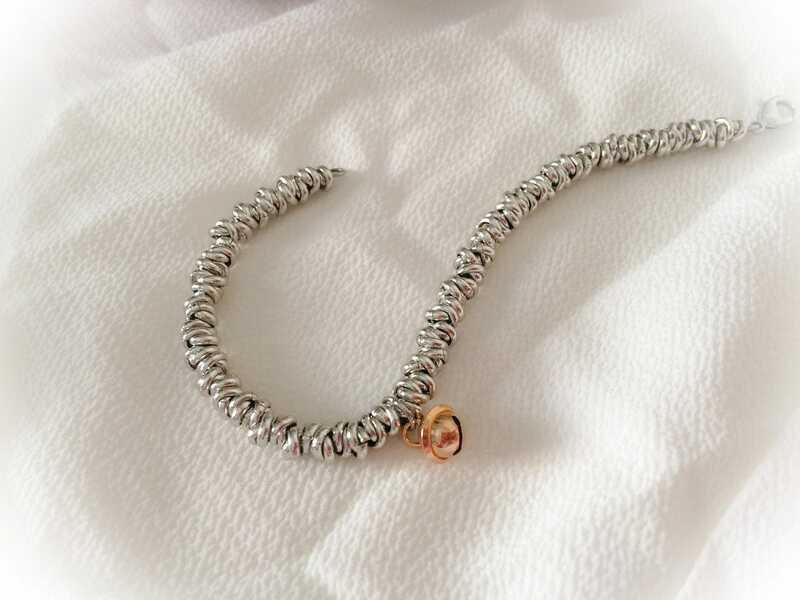 It is embellished with a small 925 silver pendant bell and pink rose. The cuff size is customized. 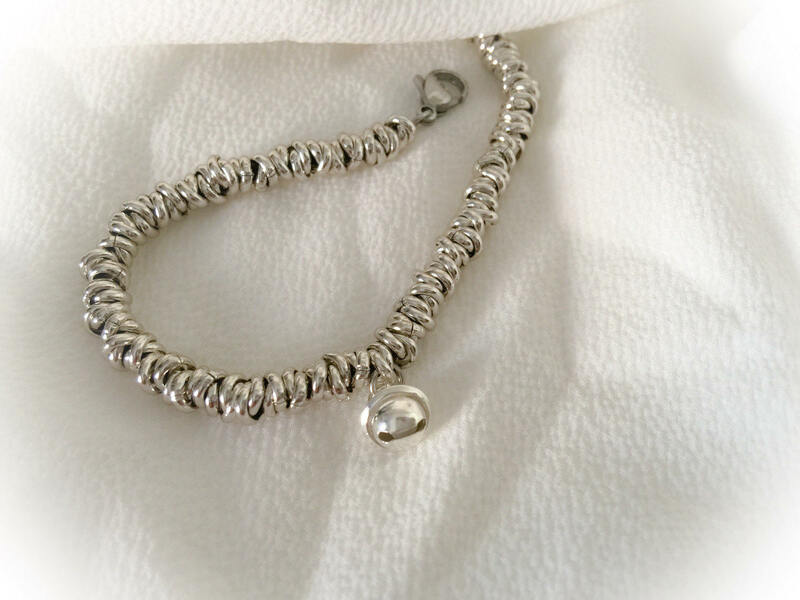 Bracelet closure is made of steel carabiner.